Awhile ago I wrote about how we are unusually prepared for our child to come home (see blog post here). It was incredibly hard to do what I did, but now its time for me to give it up. I do nothing under my own power, it is all God. Last night I received this message from a good friend. I know that this is a delicate issue, so I want you to know that I'm not trying to intrude or be insensitive. I read on your blog that some of the first breast milk that you have in your freezer might be about to expire. I'm praying that you will soon be holding your little one feeding him or her with that precious gift that you have been saving. This is a friend of a friend who just moved to FL with her husband in the military. Her story is attached. She is looking for donations of breast milk. If you feel led to donate, her e-mail is included with the story. If not, I understand too. There's no pressure and it's just between us that I sent you the link." I cried. A lot. I read her plea for help and I knew it was an answer to prayer. She has experienced a physical loss of her own and somehow that makes me confident that she truly understands what I'm giving up. This does not make it any easier. I've worked so hard to prepare for the child we have yet to find. My heart aches. But I have to think of "giving up" as less horizontal and more vertical. I offer up this sacrifice. When God calls, I will answer. This post is helping me reaffirm that. I have no reservations about the person I've chosen to give Evelyn's milk to, or the fact that this is what God wants from me, I'm just sad I can't use it. Here is the email I wrote to the mother in need. "I wanted to see if you've had anyone offer to donate milk. I have a kind of special circumstance. Last Nov. our daughter was still born. We were/are also going through the adoption process so when my milk came in I pumped to save for our adopted child. As we still have not been picked by an expectant mom, I have milk that will need to be used soon. This is incredibly difficult for me to do. I have an overwhelming attachment to this breast milk. It came from our daughter and was pumped for our future child but it looks like I won't be able to use it at all. She was born Nov 24th 2012 and my milk came in two days later. It has been stored in a chest freezer that is never opened. I checked on La Leche League's web site and, stored in a chest freezer, it needs to be used before a year. I'm not prepared to donate everything I've pumped but I could give my first months worth that includes the colostrum. I never got checked by a milk bank because I intended to use this milk myself but I was very careful when I pumped, don't smoke or take any medication. Our daughter passed away of natural causes so nothing was transferred to the milk. I would gladly give it to my own child but again we haven't been picked yet. I know this is a delicate situation since you don't know me but I can assure you I'm not giving this away easily. You're story was shared with me by a friend I trust. I wrote about our daughter and pumping her milk on our blog if you'd like to learn more about me, I'll attach a link. Let me know if you're still interested." I received a response this morning and she has accepted my offer with great appreciation and enthusiasm. She has received many other donations from people who read her post but none that include colostrum like mine. I was hoping for a heartfelt response, because a halfhearted "thank you" would frankly have made me mad. I was hopeful it would be as it was. She is a kind person who will use my gift well and I look forward to seeing her daughter grow from it. Now we work out the logistics of getting the milk to her since she is literally as far away from CA as you can get without leaving the country. "I am having another bout of insomnia and have spent the last few hours reading through your blog from my phone... God has His hand on you sweetie! I see Gods love shine through your words, and acted out in your faith... I'm very glad our paths have crossed. I'm praying for your beautiful family and for the child that God has planned to enter your lives! Sorry to bug you again, I just wanted to drop you a quick line and let you know you've been on my heart ever since you contacted me, out of all the 400+ messages I received today. God bless you my friend!" P.S. Don't worry, I told her I was blogging about this. She's a blogger too, so she understands. Click here to see the conclusion to this post. I love your heart, Kristen. I love you and I admire, respect and treasure you. Thank you Lisa. That means a lot to mean. This was beyond hard. Your "Tears" post brought tears to my eyes. I know how precious that milk is to you and I know your heart too. I can see God transforming and conforming you more and more to His Son. Your donation and sacrifice for the kingdom will surely be richly blessed. I love you and am so proud of you. Thank you Pam I love you too. You have no idea how blessed I feel by your kind words, Suzi! Thank you so much! You remind me of my mom (that's a huge compliment, haha!). 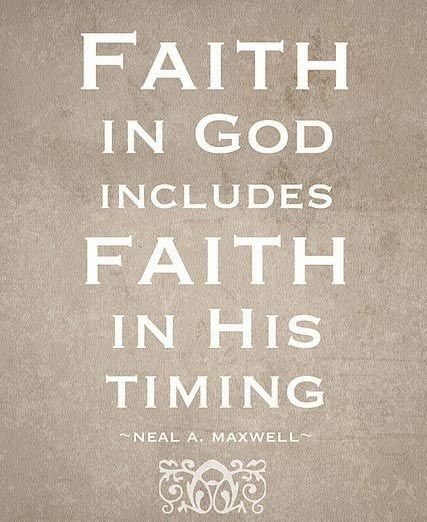 I am so grateful God has connected our two families and I can not wait to see how He works through this very difficult situation. I absolutely feel like a mom, my children just aren't with me. One in heaven, one yet to be found. 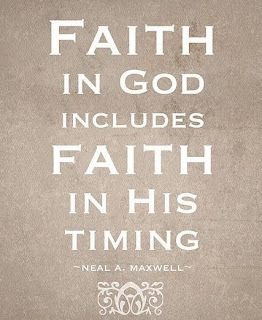 I trust God's perfect timing though and I know His plan will be beyond anything I could imagine. Your support means the world to us! Please tell everyone you know that we are waiting for the child God has for us. Who knows, maybe you know the mother of my future child! The anticipation is overwhelming and exciting! I am so blessed to be a part of your granddaughter's story. She is a blessed little girl to have such an amazing mother and grandmother!